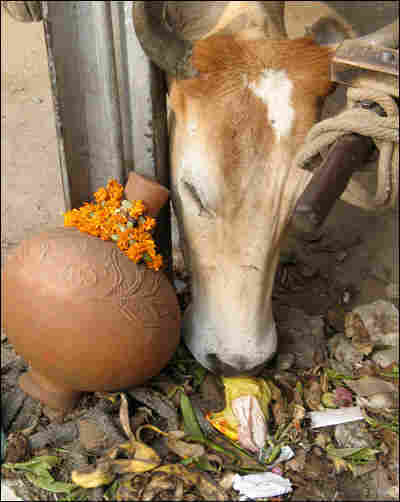 India Cow Killer Bagged, but Deaths Continue : Krulwich Wonders... A few years ago, urban cows in Lucknow, India, began starving to death. 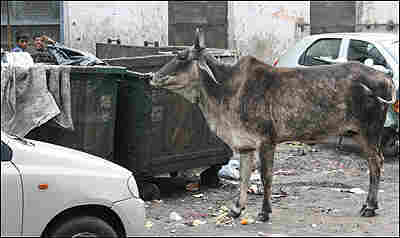 They had plenty of garbage to graze on, but were getting skinnier. An inspection of sick cows revealed the problem, and a solution soon followed. 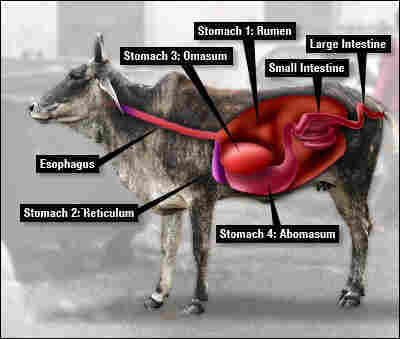 So why are the cows still dying?